Lace can transform even the simplest shapes into sweet treasures for your trousseau. 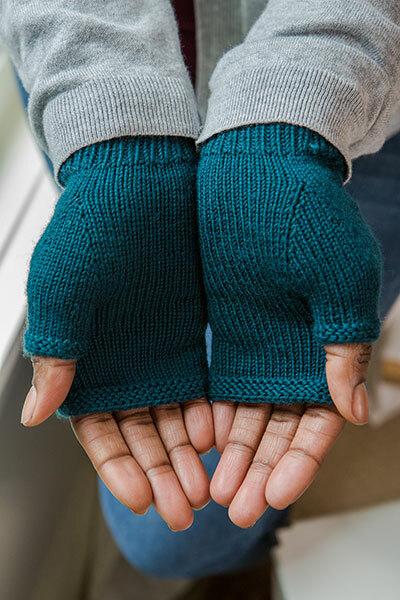 These winsome mitts make a statement of subtle elegance with only a handful of stitches. 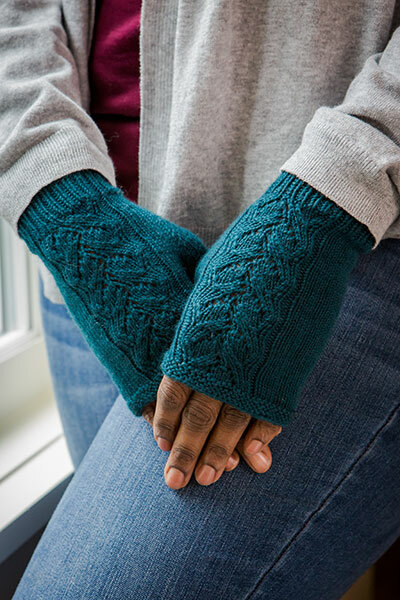 The Lace Track Mitts are a pair of fingerless gloves knit in the round and from the cuff up.